Omg, this was SO good! The hen was nice and juicy and I loved the spicy Memphis Gold sauce they put on it. It could have been spicier, but the flavor was very nice. 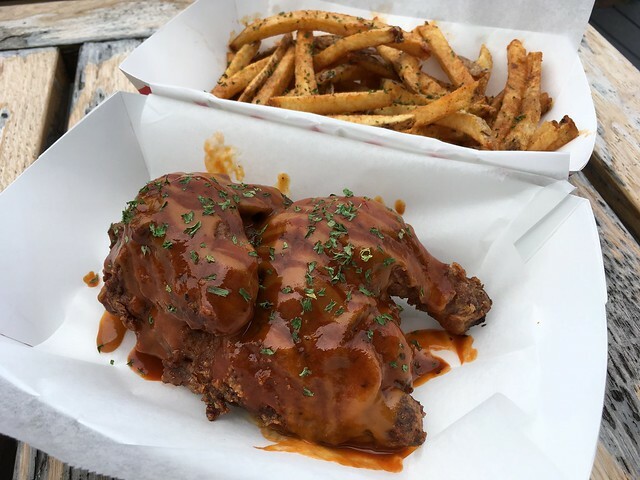 This entry was posted in Flying Sobie's Hen House and tagged cornishhen, food, foodtruck, frenchfries, fries by vicentesf. Bookmark the permalink.